It seems as if there is a dizzying array of offers popping up all over the Internet promoting various debt consolidation companies. How do you choose the right one? You want to get out from under your mountain of debt and start spending money on the things you want instead of throwing it away on interest payments, but finding the right company seems overwhelming. Here are 10 tips to help you pick the perfect debt consolidation company for your needs. But, first, refer to our Do it Yourself Debt Consolidation Guide. Only if you are not able to do it yourself, go for picking up the right company. Attempt to manage the debt yourself – quite possibly succeed in doing so but also possibly make things worse. Contact a debt management company & seek out their expertise to help improve your financial situation (either through a debt management plan or an IVA). Contact a “free debt advice service” for help and advice. There are basically two types of debt consolidation. One type involves getting a debt consolidation loan and using the loan to roll all your debts into one monthly payment. The other kind of debt consolidation involves choosing a company that will negotiate settlements on all your debts and then you pay them a monthly some and then distributes that money among your creditors. Choosing between the two approaches is the first step in the process. In either case, make sure that you choose an option with a monthly payment you can afford to live with. Referral websites can help you find and compare different resources. Granted, you do have to give these types of the website some of your personal information, the website will supply you with a list of both types of debt consolidation services that can help you. This is a great way to start your search. Use the criteria listed below to example each company that makes you an offer. You may be able to find the best one simply by using the process of elimination. Installment loans look good on your credit report. If a debt consolidation company is willing to make you a loan at an attractive enough rate, it is a great way to pay off your higher interest debt and improve your credit score. Additionally, you only have to manage one monthly payment instead of sending out several. In some cases, you may even be able to arrange for a direct EFT withdrawal from your checking account so that you never miss a payment. 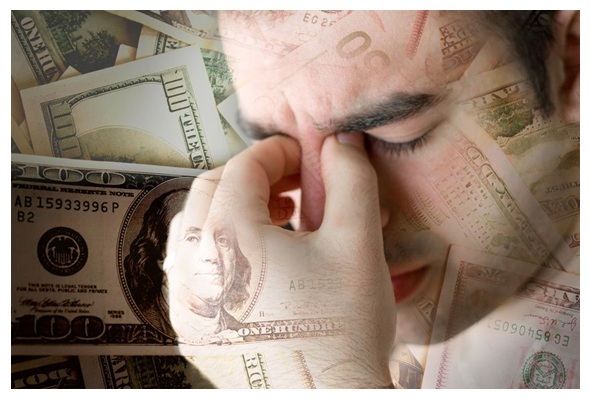 Debt loans can be almost as difficult to be approved for as personal loans. If you have already been struggling to keep up with your debt and you have gotten behind, you may not qualify for a debt consolidation loan. In addition, if you make the mistake of taking out a loan and run your credit cards back up, you will be in double jeopardy. A debt loan should be used to consolidate your debt, not increase it. With companies that make settlement arrangements, they may be able to get the creditor to accept less than the full amount that you owe. They also might be able to get the credit card company to stop charging you interest. In most cases, the company will get you better settlement terms than you can on your own. It can be a great advantage, and a relief, to have someone who can negotiate terms for you. 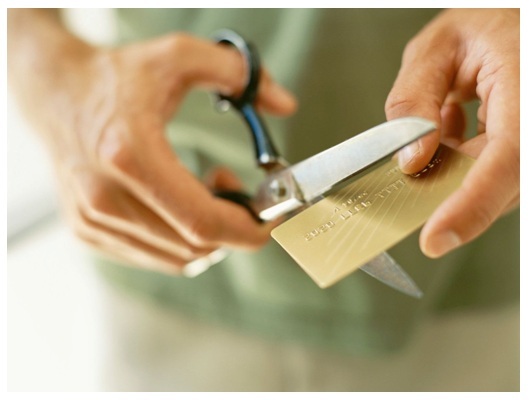 Usually, the first rule of a debt consolidation agreement is that you can no longer use your credit card accounts. You are prohibited from applying for new ones as well until all of your previous debt is paid off. If you miss one or two consecutive payments, the company may kick out of the program and you are back to square one negotiating with your creditors. This type of debt consolidation only works if you make all your payments on time. No matter which type of debt consolidation company that you choose, there will be fees involved. Look for any extra fees that may be hidden in the fine print. Even reputable companies have ways of working in additional charges that customers do not figure out until they are locked into an agreement. Read all the terms and conditions of your agreement very carefully. These fees may be perfectly legitimate, but not always that easy to find. What are the advantages of IVA’s? This is valid for readers in the UK, where IVA is an option for the debt problem. Individual Voluntary Arrangements (IVA’s) are definitely something to consider for individuals with significant debt levels (over £12.5k). Gives a greater peace of mind from the fact that it protects you against creditors hassling you and other forms of chasing and harassment from the people the debtor owes money to. It protects your assets – no repossession can take place if your assets are protected in an Individual Voluntary Arrangement. It’s possible to write off a huge amount of debt with an IVA. Freezes interest and protects against creditor fees. Debt consolidation companies that deal with your creditors for you all have different ways of billing you. Many will charge you monthly, which is taken out of the money that is supposed to go to your creditors. Before you sign an agreement with any company, find out exactly how much they are going to charge you and it will affect your debt payments. Some companies offer better deals than others do, and as noted earlier, factor in “hidden” fees as well when you are comparing multiple offers. Get online and read reviews about the company you are considering doing business with. Check the Better Business Bureau’s website, especially if you are going to be sending them money to dispense on your behalf. Make sure they have a solid reputation and look for any customers complaints. If you do see customer complaints, look and see how they were resolved or even if they were resolved. Word of mouth can be your best ally. Do not trust any company that is willing to work based on your verbal authorization. A good debt consolidation or debt management company should supply you with an exact breakdown of where your money is going every month. You need to be sure that your creditors will receive timely payments in order to keep your credit score from dropping. Make sure they supply you with copies of all the paperwork so that you understand exactly how the arrangement will work. Finding the right company to help you consolidate your debt does take time and patience. However, keep in mind that you are entering into a long-term financial agreement with whichever type of company you choose. For your own peace of mind, not to mention the fact that it could possibly save you thousands of dollars, every bit off effort you put into finding the best debt consolidation company is well worth it. These are absolutely wonderful tips. Choosing a debt consolidation company should be dealt with accordingly. Reputation monitoring is the tip I find most essential in view of the nature of these offerings. There are schemes cleverly designed to take advantage of people’s weak financial state. I appreciate your tip about considering what approach to take with debt recovery. It would be smart to consider if you need a loan to pay off debt or if you need a service to help you out. After I graduated college, I’ve been struggling with debt recovery, so I’ll have to consider if a recovery service would be right for me. I like the fact the debt consolidation services can help you come to terms with the creditor to be able to pay them in lesser amounts in special terms based on the negotiations that are offered to them. This sure is a good idea for those people who cannot afford to pay their obligations due to emergencies that needed to be prioritized first above all else. I haven’t encountered any financial issues but this is something that I will keep in mind the moment that unfortunate things happen. If this happens to me, I’ll be sure to look for a reputed company to help me negotiate with the payment terms so I will be able to pay my loans gradually.